I am still having fuel issues, it now seems that I am probably getting air into my fuel system via the lower injector O rings. Has anyone replaced these before and if so is it a major job, do the injectors come out OK or do they normally give you grief, the last thing I want to do is bugger up an injector. It looks straight forward enough after removing the rocker shaft, is there likely to be any other seals etc that I may need to get before replacing them. How long would it take to do the job for the first time. My other issue is I am having trouble sourcing the new seals there are copper washers and an O rings to replace, the copper washer does not look like they are a crush washer so would it be a problem if I just replaced the O rings and reused the old copper washers. Our local dealer is quoting 2 weeks before they have more in stock, there are a few other place I need to check tomorrow to see if they have stock of them but I am not feeling hopeful, my other option is getting them couriered out from the UK if I need to but I would rather not do this unless I have to. If you are having starting or cutting out problems then the fault will more likely be with the copper washers that seal where the injector goes into the cylinder rather than the O rings. These leak and a small amount of combustion gas gets into the fuel rail which means that the engine either stops dead or won't start. Can be a very intermittent fault. I would definitely not recommend reusing the copper washers even if it isn't your problem as you will be sure to have a problem with them in the future if you do! It doesn't affect a large proportion of vehicles - maybe 5 to 10 percent - but enough to make it not worth taking shortcuts. I've not changed injectors personally but I don't think there are hidden dangers with changing the injectors. There is however a slide hammer listed under special tools so it might be prudent to have one available.... there are also special tools for fitting the new O rings but I don't think you would need to worry about those. We use a sort of pry bar to get injectors out. If you can't get TD5 copper washers ask about the Tdi ones which are different but work as well. Apparently it's not that hard to do - or so I've read! But yes definitely change the copper washers at the same time! You'll only regret it later and they are cheap so it's worth it! On the subject of these seals and washers, do you think this could be causing the problem I have where my TD5 misfires if you rev her to just over 1000rpm when the engine is cold just after starting and puffs blue heavy diesel smelling smoke out? After 20secs or so she runs fine? Basically it's what we do to a TD5 when all else fails and it's clutching at straws time. We spend a lot of time clutching at straws with TD5s. When they work they are fine, when they don't work it can be a nightmare to fix them. Fantastic thanks for your input all. I will make sure I replace them both even if it means delaying the job for a couple of weeks to get the copper washers as well as the O rings. BM, as you say it is very intermittent some times it starts perfect as was the case when I replaced the fuel pump but this morning it took ages to go, then when I was parking it at work I stalled it and could not start it again and gave up before I flattened the battery and ended up pushing it into a car parking space, you could hear air bubbling around the fuel filter and the pump changing tone, so there is definately air or similar in the fuel system, this afternoon it started pretty well after a couple of seconds cranking, other than these seals I am a bit lost to what to go for next. 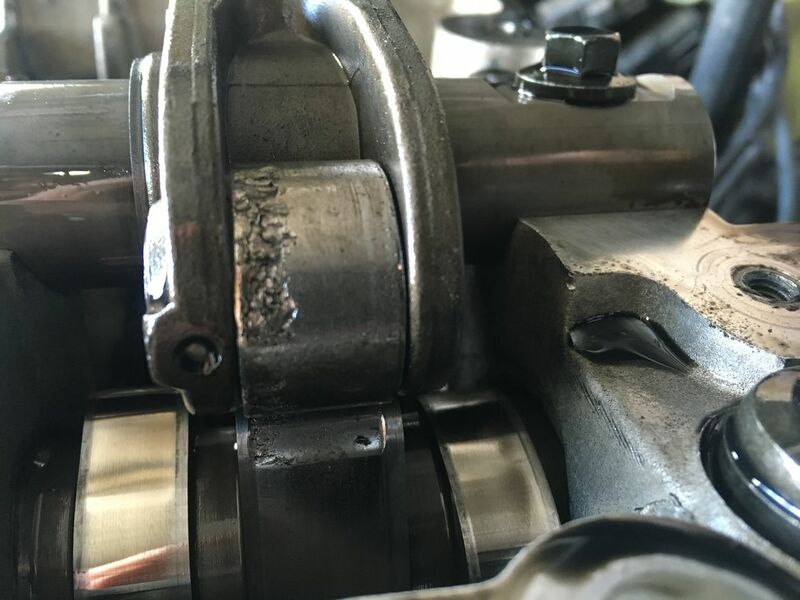 Yep that sounds like symptoms for the leaky washers, one we had at work was like that and it was before we knew what caused the problem, noisy fuel pump and sounds of air in the system, intermittent non start or cutting out when running. Col, if you want I can get some here and post them to you in a jiffy bag. Or if there is someone at Emirates Heathrow that I could post to that would be easy too. LR dealers can get most parts in next day and I've got to go to Cambridge at least a couple of times this week. If so PM me part no. and I'll phone them tomorrow and get some. OK so far I have managed to get my hands on 5 washers and 2 O rings, I think I can get hold of 2 more O rings but that still leave me short 1 which is a bummer. Steve thanks for the offer mate, but I have got them on order at our local dealer who should have them in within the next 2 weeks and we have friends coming back out here from the UK on the 13th so I might mail order some of them to our friends in the UK which will be more reliable than relying on our local stealer and our abysmal postal service. OK time for an update. Things went from bad to worse, on the way home from work the other day the engine cut out 3 times and after leaving it sit for 5 or so minutes I was able to coax it back into life before the battery went flat. I pulled the injectors out and could`nt find any obvious marks of any blow by on the copper washers which depressed me no end as I was hoping to find a confirmed problem. The 5 O rings were in perfect condition and still soft pliable so as I decided to re-use them all as I only have 2 new ones. Fitted the 5 new copper washers bolted it all back together again and after its first start where I had disturbed the fuel system it now starts perfectly hot and cold, something it has not done for months now and it runs much smoother with noticably more torque, so I think they had been deteriating for a long time and slowly sapping more and more power. So 2 fuel pumps and 5 copper washers later it looks like I might have finally fixed it. I have 3 new O rings coming up from Cape Town tomorrow which will give me a complete set and I am going to buy 5 spare copper washers as well so if for some reason they fail again I will have all the spares on hand. I will also keep an eye on the oil level to make sure there is no fuel leaking past the old O rings into the engine oil. Thanks for all the help and advice, as usual it is greatly appreciated. Glad you got it fixed Col.
Have you bought a Nanocom yet? If not they'd be a useful tool for you in checking stuff like injector performance/MAF readings etc in future. I had`nt really thought about buying a Nanocom until now, but the more I think about the better the idea is sounding. I might start looking into one before my next gremlin comes along. We just fixed a TD5 Disco auto that had the annoying habit of stopping after 30kms and being then difficult to start. The only clue we had was that the 'power balancing' figures on the computer occasionally went into double figures at idle. While driving they were all fine in low single figures. We changed the O-rings for new Viton ones (not LR) and copper washers from Bearmach. Bit of a delay because the guys broke off two of the rocker shaft bolts. I have now told them to use a torque wrench or else. We bought a few cap screws of the right length - also stronger at 12.8 (?) instead of 10.9 Oh and whizzed the bits out with our new 6mm left hand drill. The washers never look bad when removed, but they seem to leak air into the fuel rail all the same. I did the injector seals/washers change twice on my D2 and Defender. when I proceeded, I was suggested by some mechanics to warm the washers until they got red, and then submerge in water. This way the copper becomes softer and gives better sealing. I wonder if anyone of you did this? What do you think about? How long do you usually drive you car until you need another seal/washer change? Not necessary to anneal the washer like that if new genuine parts. You must make sure the holes they are going into are spotless.. No black deposits at all as this can compromise the seal. There should be no need to plan to change regularly, but if you get poor starting, rising oil level in the engine, lumpy running, they should be early on the list of things to replace. When the rocker cover is off, check the rockers too. My indy told that he finds worn rollers quite regularly on Td5's (although it's mentioned very rarely on the forums) and told me to always do a quick check on them whenever the cover is off. The middle one showed significant wear and had to be replaced. The cam is much harder, and in his long career my indy has replaced a Td5 cam shaft for this type of wear only once when it was really bad. He deemed mine ok enough to leave in place. I replaced the individual rocker with a used one. Unfortunately you can't buy new ones separately. Land Rover very explicitely tells never to use 10p rockers on a 15p engine. The opposite (15p rocker shaft assembly on a 10p engine) is allowed on the other hand. Give the O-rings a smidge of lubrication before fitting the injector and take care that the seal doesn't fall off. You can help them to remain in place by using a tiny bit of grease to stick them to the injector. Looked like diesel blowing back through leaking injector seal, diluting the effect of the engine oil and that follower getting hot through less lubrucation. Unfortunately it cost me a cam too!! Hi there, I'm changing the seals on my injectors tomorrow... I notice from lots of pictures, that the injector tips are often quite dirty, even to the point where the washers won't pass. I know the tips are very easy to damage/block... should they be cleaned, and if so, with what? ...brake/clutch cleaner? soft brush? or simply don't mess with them!? thanks! I've never used anything more than blue tissue paper and only cleaned the sides and never tried to clean the tip at all. AND.... Make sure the land surface in the bottom of the injector hole is very clean.... There are special tools our there but generally I've found an air line with good jet of air is very helpful.... Worst case was very careful use of a flat head screwdriver to pick at any stubborn debris. One other top tip... Don't use a slide hammer to get the injectors out.. This method can wreck the injectors. Thanks... job went very smoothly, hardest part was getting the fan off with a 36mm spanner that was too thick! Got there in the end though! I did this job because of a slow rising oil level, so it needed doing, but I was also hoping it would solve the 5/10 seconds of white smoke I get at startup each morning.. when I rev the engine. Other bits I've recently changed include the MAF sensor (unusual voltage readings), fuel relay (as that was fried), fuel filter & housing (corroded away), fuel pressure regulator (was leaking), injector wiring harness (oil down to ecu), glow plugs (turned out only 1 of 4 worked)... so quite a few bits, although all the usual from what I read! I've had the defender for just under a year. No service history, although oils were all in good condition when changed. 60k on the clock. (2004 model). still don't have a clue where to investigate next re: white smoke at startup, runs fine after its cleared, just don't like the fact it does it each morning! And only does it if you rev the engine within the 5/10 seconds of startup... otherwise it doesn't put any smoke out. anyone with any thoughts? cheap/easy ones please! ...im tired after all this work so far!